Since Zim now has a PAF portable for Windows, is OSS and multi-plataform and has some nifty Markdown features, it's about time it made an appearance here at TPFC. author of http://zim-wiki.org/ wrote: Zim is a graphical text editor used to maintain a collection of wiki pages. Each page can contain links to other pages, simple formatting and images. Pages are stored in a folder structure, like in an outliner, and can have attachments. Creating a new page is as easy as linking to a nonexistent page. All data is stored in plain text files with wiki formatting. [...] Zim handles several types of markup, like headings, bullet lists and of course bold, italic and highlighted. This markup is saved as wiki text so you can easily edit it with other editors. Last edited by Midas on Thu May 03, 2018 3:46 am, edited 2 times in total. * In this release the required python version is changed from 2.5 to 2.6 ! Last edited by Midas on Thu May 03, 2018 3:47 am, edited 1 time in total. l0l. 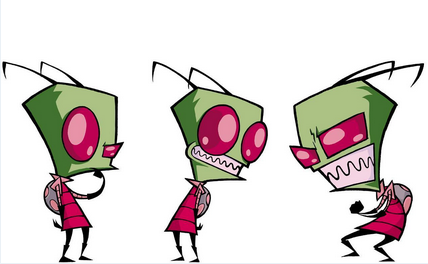 There are tons of cool Invader Zim wallpapers and icons around the Web, but I am sure you knew that already. 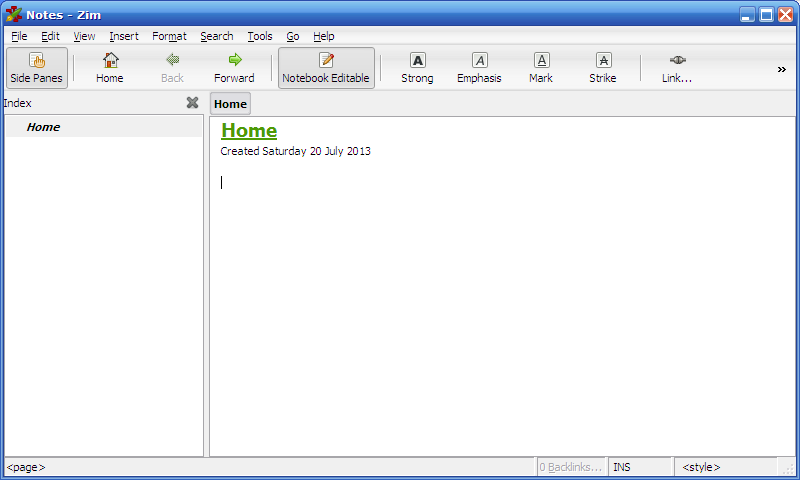 EDIT: Zim is now (2013.06.02) available in WinPenPack portable format -- see http://www.winpenpack.com/en/?view.1371. I'm posting here about a persistent problem I have been having while using portable versions of Zim. I know the later problem is related to the underlying Python GTK-2.0 configuration, but after many tries I'm completely at loss in solving it, so I decided to expose myself to public shaming here at TPFC forum. Needless to say that any help or hints will be sorely appreciated. Last edited by Midas on Thu May 03, 2018 3:48 am, edited 2 times in total. Sorry, but that didn't work. In 'bin\etc\gtk-2.0' a single line read 'gtk-theme-name = "MS-Windows"' so I tried changing it to 'Raleigh' without any visible result. I found some info about GTK 2.0 theming on Windows (see below), but it also didn't help with this issue. EDIT: more entries for the list above, although I do have doubts about this two. Last edited by Midas on Thu May 03, 2018 3:49 am, edited 1 time in total. Zim for Windows Portable (PAF) is currently v0.62 (upstream changelog at http://bazaar.launchpad.net/~jaap.karss ... NGELOG.txt). 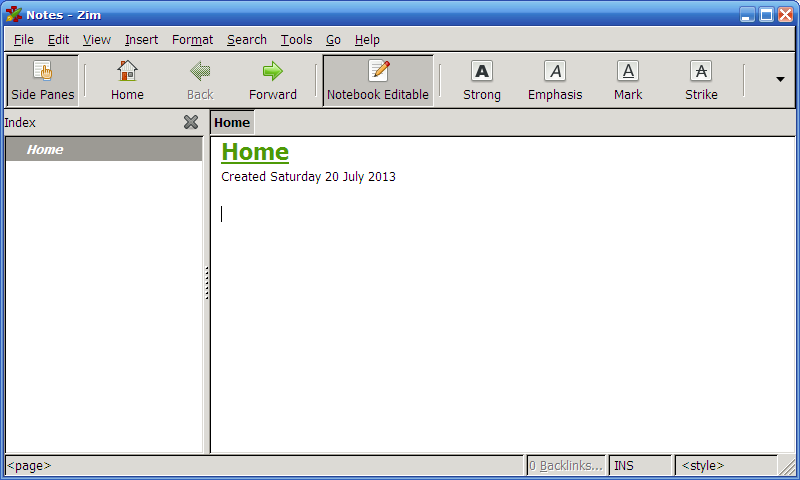 Note: Zim v0.60 was the last version with official support for Windows XP. Now you know more about clams for some reason. webfork wrote: The hell? Are we posting random stuff to our entries now? Is that a thing? Despite the promise at Zim Windows site, no update to the upstream latest version yet (currently v0.65; the only changelog I could find is at http://fossies.org/diffs/zim/0.64_vs_0. ... -diff.html).